Note: I wrote this post on September 10th, the day after my Mom died. My noon flight leaving Cabo was delayed 3 hours and I was finally on the plane flying from Dallas to Springfield, MO to go see my sister and face the aftermath of the sudden death of our Mom. I decided that I need to write, so I started typing. It was before I knew what I know now. I wrote it about 24 hours, to the hour, after my Mom died. I notice in re-reading it that I switched from present tense, to past tense, back to present, back to past… Ah, the confusion of sudden death. I plan on sharing parts of this process on my blog, but in order to protect myself, I’m going to share them a couple of weeks or so after I wrote them. I want to be able to look back at these posts and see how I’ve grown… Besides, the emotion seems less sharp and raw a couple of weeks later. Perhaps this is my way of gaining perspective. So, ignore scattered thoughts. Ignore poor grammar and punctuation. These words were a pure stream of emotion. When Taryn called me, I knew. I think it was about 11:15 MT, 12:15 in Missouri. Where my Mom lives. “No, I haven’t talked to her yet today.” I hadn’t called her in the morning, like mostly every other morning. “You’ve called her house, right?”, I asked. Taryn called the doctor’s office and my Mom, ever-punctual and ever-accustomed to doctor’s visits, didn’t show up for her weekly bloodwork appointment. I called her house. Again. And again. More than a few times. And I think Taryn knew, too. But we didn’t dare say anything to eachother. Taryn said, “I’m definitely going to go out to her house. I’ll wait until Aubrey’s out of school.” And then Taryn, my brother-in-law and my niece and nephew planned on making the hour and a half trek to my Mom’s. I was afraid of what she might see. “Yeah, I thought of that, too…” she said. I got off the phone and typed “americanairlines.com” into my browser. I searched for a flight from Cabo to Springfield. My brother, who also lives in Cabo, was at my office for a meeting with someone else and I told him about the situation. And then we filled time just waiting for when Taryn was going to go report back after she checked on my Mom. Craig, who, again, is never just hanging out with me while I work – stuck around. Together he and I went to pick up the girls from school. I actually asked him to drive because I wanted to be able to answer my U.S.cell phone the minute Taryn called back. Something felt wrong. I felt anxious. And nervous. When we picked up the girls at school at 2 p.m. Cabo-time, 3 p.m. Missouri-time, I greeted then with a softer-than-normal voice and I hugged them harder-than-normal and I kissed them and we took them back home to stay with our nanny and we drove back to work. Still no call from Taryn. I had a skype conference call at 2:30 p.m with my website guys in Colorado and another co-worker (a friend…) who was sitting on the opposite side of my desk for the call. Craig was silent, but still in my office. The phone rang. It was Taryn. I rushed out of my office to have some privacy and to not interrupt the conference call. And not five minutes later, I answered the phone and my baby sister screamed, in a voice that I can only describe as primal, the words that made me catch my breath. The words that we had been fearing. The words that broke my heart. She said the words that we knew. My Mom has been sick for as long as I can remember. Her health issues pre-dated me. She’s had them since she was about 19. She has Crohn’s disease, chronic. But the complications of her condition have been extra ordinary. She has had more surgeries than I can remember or count. She’s had colostomys, reversals, hernias, bowel obstructions, so many gastrointestinal problems that by the time I was 13 I knew the names of her doctors and specialists. In 1999 she experienced a health scare that changed the trajectory of her life. What once was a managable condition became a matter of life or death. My Mom was no longer able to absorb the vitamins and nutrients that you and I can absorb because she was operating with 1/16 of the intestine that you or I have. Instead of feet, she was operating with inches. So the long, winding road of digestion which allows for proper nutrition would surge through her. Leaving her body, essentially, starving. But we combatted it for a long time — my Mom should have been a champion competitive eater. She ate hordes of food to keep her body perked up. But slowly, it didn’t matter what she ate – the nutrients and vitamins were not being absorbed. Over the course of the years she lost weight, her hair fell out, her teeth would just break. Her sweet body was starving. Still, she fought. I used to say that my Mom had the mind of a 30-year-old but the body of a 90-year-olfd. However, over the past 5-10 years her body slowly and painstakingly broke down. Starting this past December, just 9 months ago, hospitalizations were no longer relegated to just a few times a year, they were nearly monthly. In the past, we would mend her body; and “bandage” it… and she’d fight. She’d be down, she’d get back up, and she’d fight. She has lived her life in bursts of energy. Rest, rest, rest, RUN, GO! This disease, this condition, it slowed her, but it was always as if it was a boxing match where she was driven to get the last punch. You could knock her down, but oh boy – she’d get back up. But over the course of the years, especially since December her ability to jump back up, get back in the ring… well, it slowed. My once resilient, invincible Mom was starting to get beaten. And I remember saying, “Seriously?! You just put a number on it? Mom! No numbers. Let’s operate without actual timelines.” And I remember her saying, “Ok, nevermind. Forget I said that.” And she smiled. She gave us 4 years. That woman was always right. In June my Mom went to see her specialists in Omaha. This is an annual visit. They give her the once-over and she comes home in a day or so. This visit was different. She was admitted. Her kidneys, which have been failing since December 2012, were worse and her doctor gave her an ultimatium: dialysis or a central line. She choose the central line. I can hear her voice. She tried to sound optmistic but she and I both knew what this meant. You see, years ago we were told that we’d get to this point: the point where she’d need to carry a backpack, as we called it, that would “feed” her throughout the day. We knew that she’d one day have around-the-clock IV therapy. And we both said years ago, that when this happened… we would be nearer to the end. So I was optimistic. (But not really…) And so was she… except she wasn’t. In hindsight, I think she knew that this was the end, too. My heart sank. I knew. I know that when the finish line is within sight, sleep starts to take over. She was more forgetful. She wasn’t… her. Saturday, September 7th was the Walk for Autism Awareness that my sister and her team were walking in. My Mom was part of the team. She and her husband, Carl, came to Taryn’s house on Friday to spend the night and then drive with Taryn and the kiddos to the walk on Saturday morning. My Mom let Carl drive the hour and a half from her town to Taryn’s. My Mom is a very independent woman. Carl, who is at least 15 years her senior, NEVER drives. That was a sign. That night, my sister was texting me and we talked for a couple of hours… “Mom isn’t right. Something is wrong. I’m scared.” She was shaking… a bit more forgetful and wasn’t herself. I had called Taryn earlier that day and we talked about Mom. We talked about what we needed do next with her because we feel like she needed help; there were some subtle incidents that had registered on our radar. 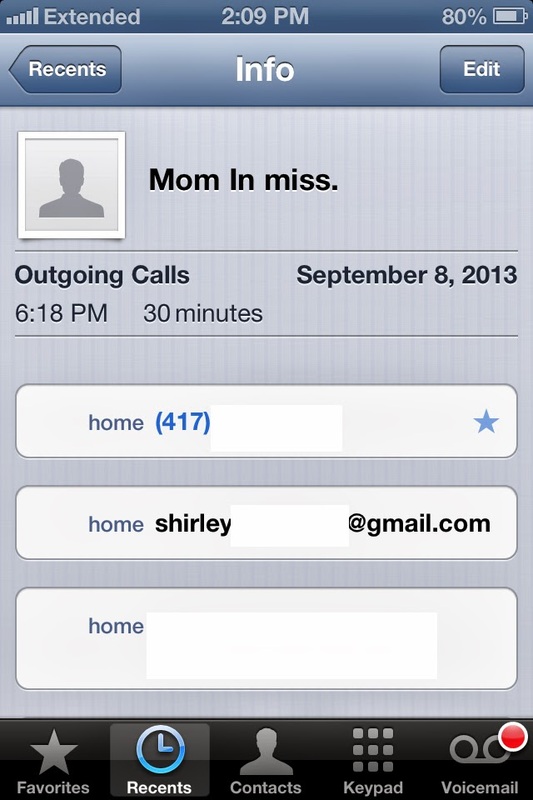 Then, on Sunday evening I called my Mom to talk to her about a surgery that she had scheduled for the 16th. In January she had all of her teeth pulled out and had dentures made. That procedure almost killed her, truly. It led to an ambulance ride to the hospital and her kidneys almost shutting down. I was telling her, I just don’t think it’s a good idea to do the permanent dentures – why can’t she just stick with the ones she has; the temporaries. And she said, “I know it’s not a good idea, but…” And I told her, “Your body can’t handle it…” And she said, in her weak voice, “But Kylee, this time it will be different. I promise you what happened last time won’t happen this time.” And I said, “Mom, you can’t promise me that.” And I think she knew that, too. This was out of her control. And that was the last time I ever heard my Mom’s voice. Oh, sweet friend. This came up in my FB feed and I gasped and cried. I'm crying still. Your words are so precious and wonderful. I can tell you love your mom SO MUCH. I wish I could come hug you. You and your family are in my thoughts and prayers. Love, Your SD blog friend, Nat. From someone whose (step, but really truely her) Father died suddenly–with no warning, I can only offer you the comfort of someone who has felt your shock and pain. A GIANT (((HUG))) from your hometown of Toledo. Your blog/writing is wonderful and my heart breaks for you. 🙁 keep writing, keep writing, keep writing. love you, Miss. Oh Kylee. I admire your strength to share your pain. Really…it's something I struggle with – trying to put on a strong facade. It's hard worrying about your parents. Sending prayers and hugs your way. Oh Kylee.I just want to reach through this computer and hug you.This whole thing just gave me chills and made my stomach sink.You do whatever you need to do to heal and grieve. Thank you for sharing the story. I admire your strength. We will continue to be here for you and as always, you are all in my thoughts and prayers. I keep thinking about and wondering how you're doing. Reading these emotions. These raw emotions. I don't know if I would ever had the strength to write something like this. This life that you mom had… the journey is unbelievable. And for her to have you as a daughter… Boy, she must have been so proud.This isn't going to be easy. It just isn't.Thank you for sharing this. Seriously, thank you.